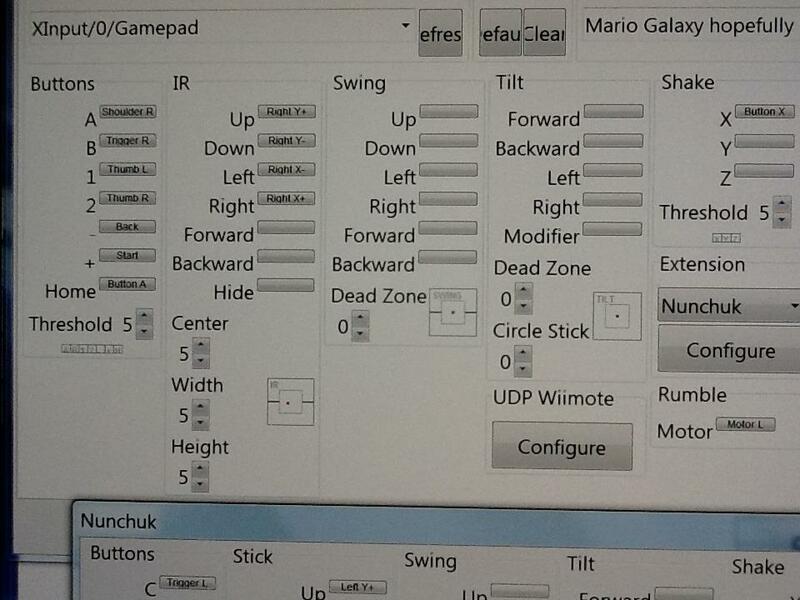 Trying to use Xbox 360 controller as a wiimote+nunchuk, how? 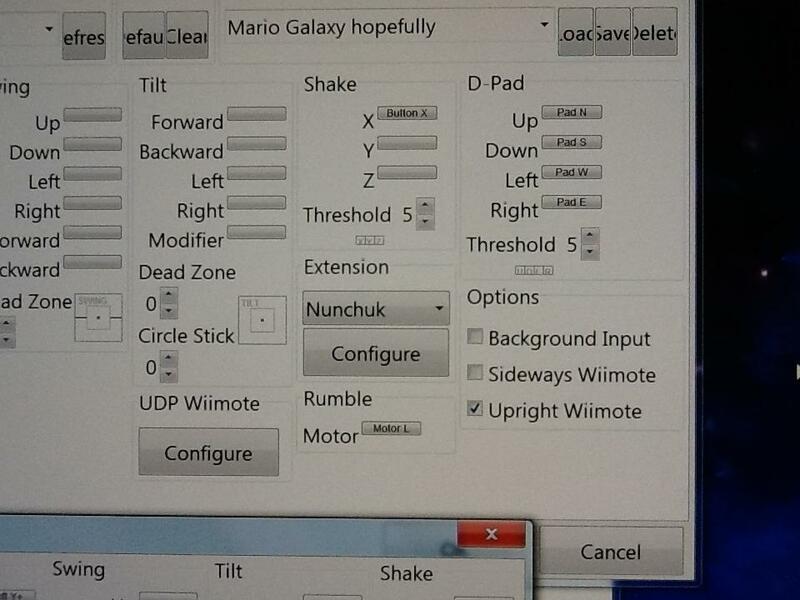 I set up my Xbox 360 controller as an emulated wiimote and configured it properly, same with the nunchuk part. I started playing Mario Galaxy. It asks me to press A and B at the same time, it works. It then asks me to point the wiimote at the screen. I set up my right analog stick to act as the "IR" movements (up on stick- wii pointer goes up, etc), but no matter how much I move the right stick, it doesn't seem to show up on the screen. Is what I'm attempting even possible, and what can I do to set it up properly? Set that to the mouse. (05-12-2013, 01:07 PM)noah Wrote: Set that to the mouse. Well I know for sure the mouse works. I've never played SMG so I wouldn't know how that would affect gameplay. 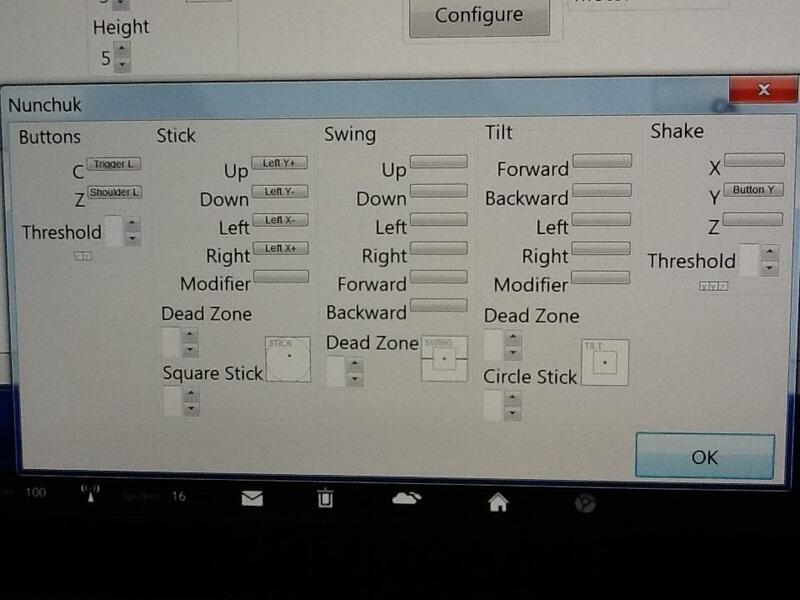 Show us your settings though and we may be able to get you to use the stick. Thank you ExtremeDude2!!! Awesome!!! I'm playing Mario Galaxy with a normal controller!!! How did you get the mouse and the controller to work at the same time?